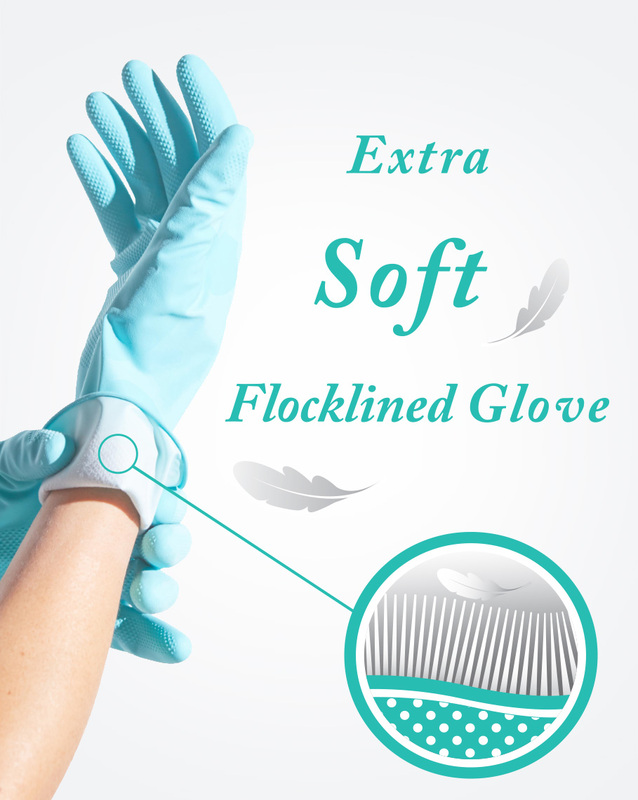 ‘Stay dryer for longer’, we proudly introduce our latest innovation featuring unparalleled comforts and superior moisture absorption of up to 15 times faster than conventional flock-lined gloves. Softdri offers an unprecedented level of comforts with the latest ground breaking moisture absorption technology from Master Glove’s in-house R&D team. Softdri gloves guarantees an unprecedented level of comfort and dryness even with prolonged application under typical working conditions. 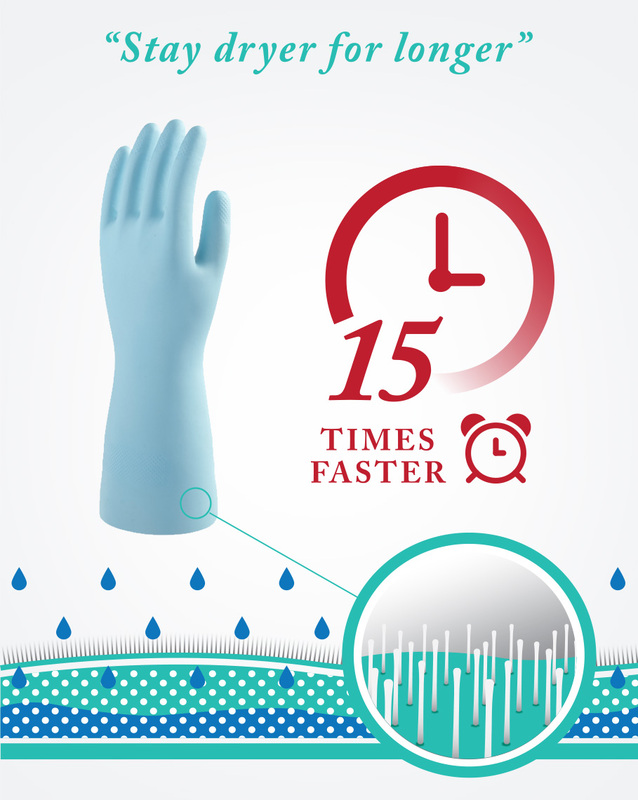 Consistent interactions with customers have indicated unpleasant latex odour as among the most common discomfort caused by prolonged glove application. 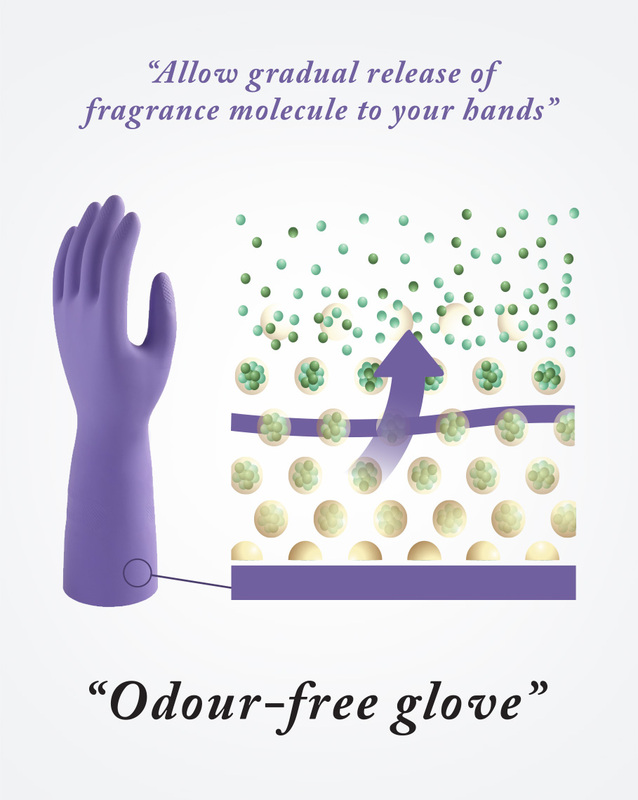 As a part of our commitment to improve customers’ satisfaction, we proudly introduce encapsulation gloves, featuring the latest fragrance encapsulation technology which ensures long-lasting fragrance odor of up to 7 days under normal usages conditions. 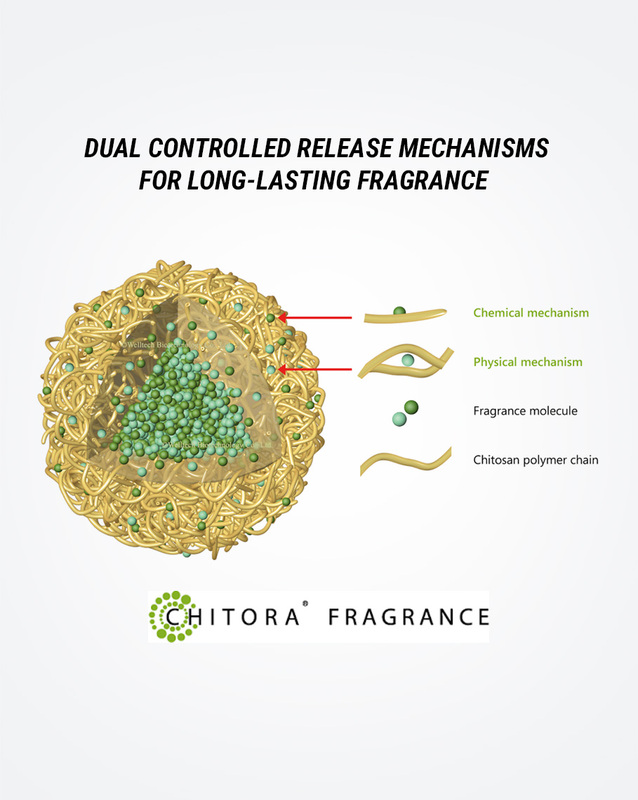 The odourless gloves are produced with CHITORA©, a patented fragrance encapsulation which utilized both chemical and physical mechanisms to contain fragrance molecules. Unlike typical fragranced gloves which have fragrance merely coated on its external surfaces, CHITORA© will be blended with latex compound to gradually release fragrance scents onto the user’ hands. Such mechanism allows deposits of fragrance scent on the users’ hands which, in turn, overwhelms any unpleasant latex odor.